This is the final studio album from the late, great rock icon. Southern Blood serves as a remarkable final testament from an artist whose contributions have truly shaped rock 'n' roll throughout the past four decades. This is Allman's first all-new recording since 2011's Grammy Award-nominated solo landmark, Low Country Blues. 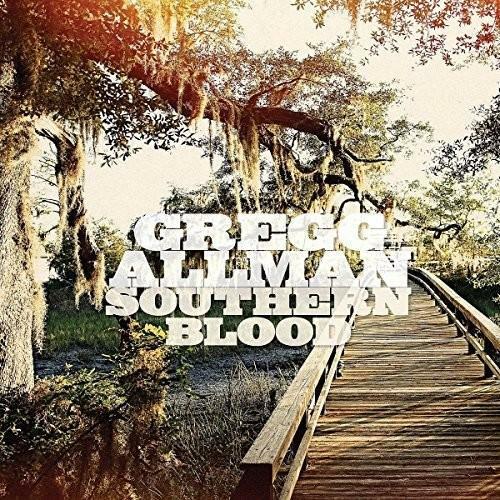 Produced by Don Was and recorded in Muscle Shoals where Duane Allman and the earliest seeds of the Allman Brothers Band were sown, Southern Blood is among the most uniquely personal of the Rock & Roll Hall of Famer's career. This emotionally expansive collection of songs written by friends and favorite artists including Jackson Browne, Willie Dixon, Jerry Garcia & Robert Hunter, Lowell George and Spooner Oldham & Dan Penn serves as a salutary farewell to his legion of devoted fans and admirers.